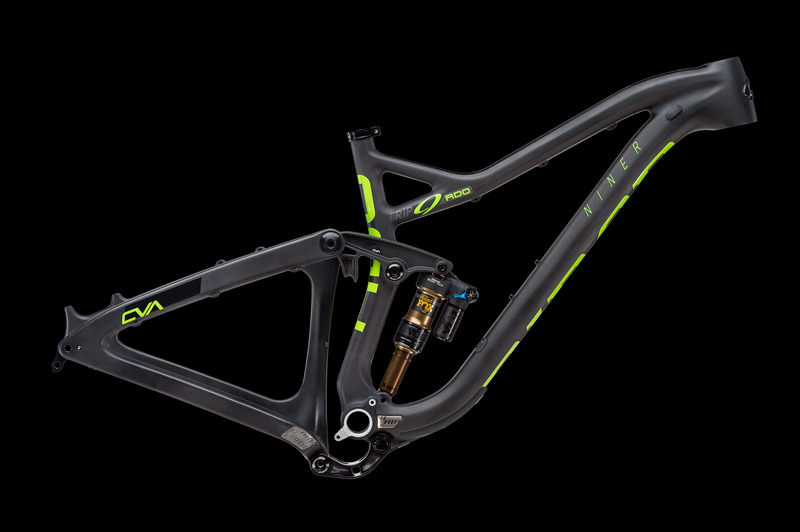 The 29er versions are mated to boost 160mm forks up front, translating to a 67-degree head angle. 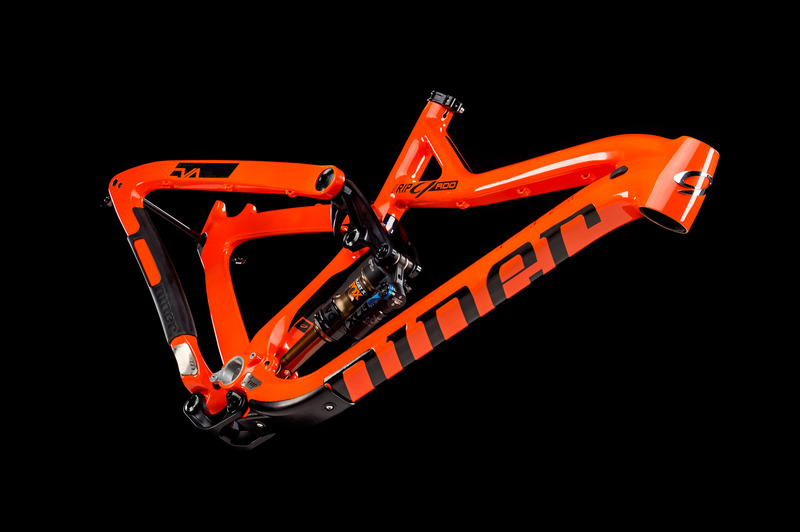 Niner has also jumped on the boost train, adding the wider spacing to both bikes, which in turn has allowed for shorter chainstays: 439mm for the Rip, 434mm for the Jet. 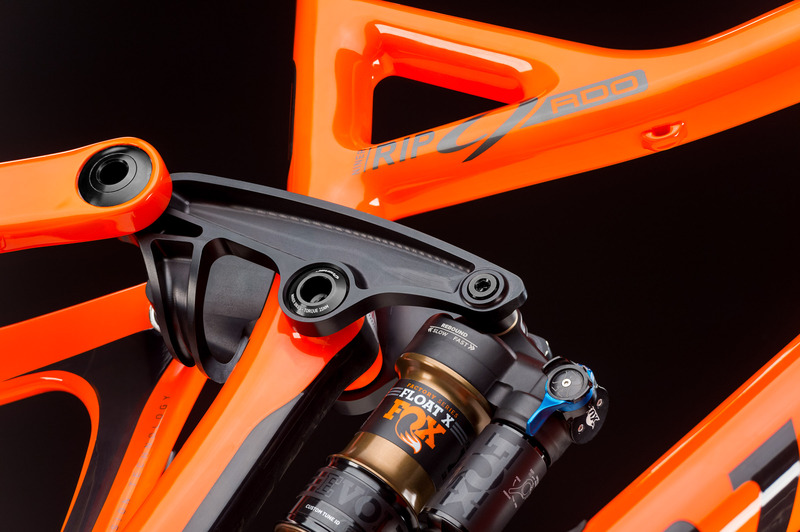 The new Rip 9 is built around a 150mm rear suspension platform, which is paired with a 160mm fork in 29er form, or a burly 170mm when you opt for plus. The Jet comes in at 120mm in the rear with a 130mm fork on the 29er builds, and 140mm for plus. The new Jet has 120mm of rear suspension that’s balanced with 29-inch wheels and an accompanying 130mm fork. As you’d expect, head angles are slacked out. The Rip is a rangy 67 degrees, while the Jet comes in at 67.5. Niner also steepened the seat tube angles on both bikes, which is designed to keep the rider in a more balanced position going up or down. Build costs range from $4500 to $9800. 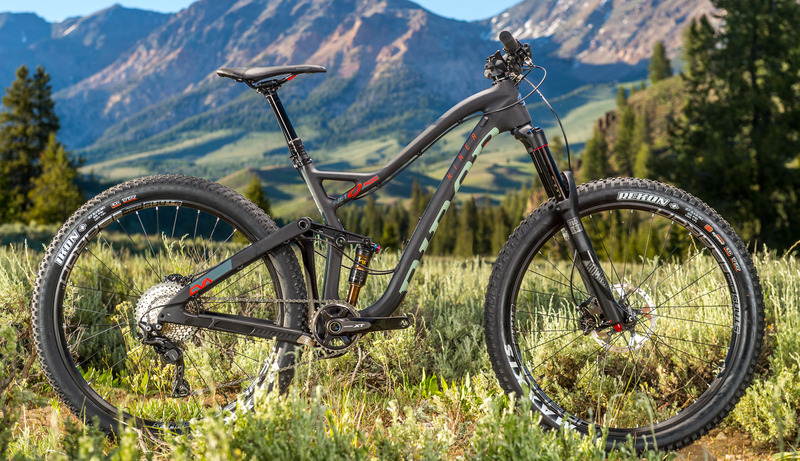 The top-of-the-line 5-star Rip 9 RDO comes with SRAM Eagle X01 drivetrain, SRAM Guide Ultimate Carbon brakes, Fox 36 Float Factory Fit fork, and ENVE M70 HV carbon wheels. At the other end of the price spectrum is the $4500 2-star Jet 9 RDO with Shimano SLX drivetrain and brakes, RockShox Pike fork, and Niner alloy wheels. Click through to page 2 and page 4 for a complete breakdown of available spec and pricing. 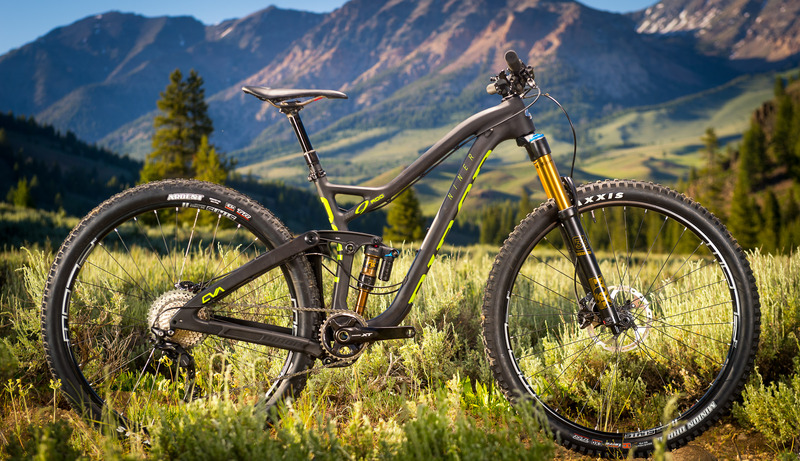 To learn more about both bikes check out the photos below, starting with the new Niner Rip 9 RDO. The new Rip 9 RDO benefits from the wider boost spacing, which keeps chainstays short, yielding a responsive ride in spite of the healthy amount of suspension travel. It also opens the door for more tire clearance. That means up to 29×2.5″ or 27.5 plus tires up to 3.0″. Rear suspension is 150mm driven by a seatpost mounted rocker link. 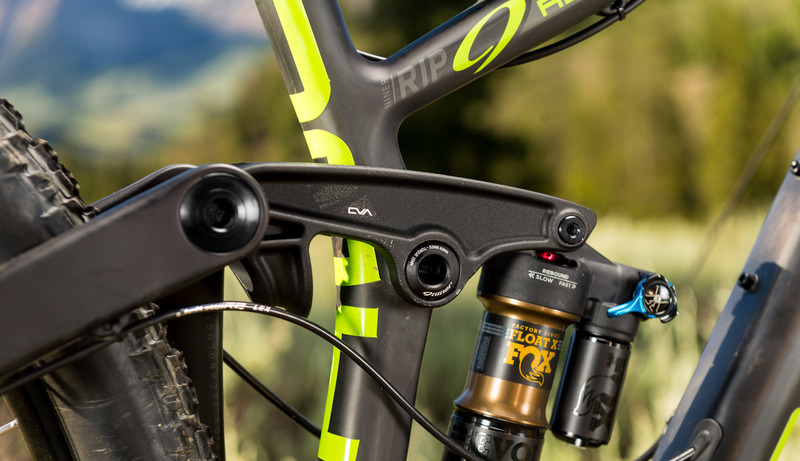 The RIP is built around Niner’s patented Constantly Varying Arc (CVA) suspension, which is designed to remain fully active at all times. The system harnesses chain tension to counteract squat and bob, and the pair of linkages rotate in opposite directions allowing them to react to both pedaling and terrain inputs independently of each other. There are two available paint and carbon finish options, one loud (pictured), one more subdued (next photo). 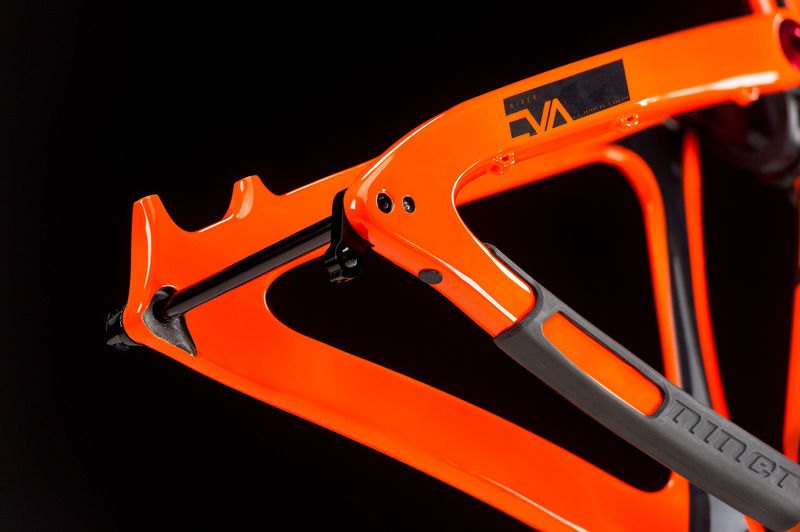 The steep seat angle is designed to get the rider centered on the bike and pairs well with the short 439mm horizontal chainstay length for better pedaling efficiency. Nice to see threaded BBs making a comeback! I under stand one of the owners is short like me? I have 28 inseam and require a 27 standover (no 26’s available) with a comfortable a 23″ tt. I am 5’5’I like chain stays shortchanged enough to wheelie but long enough to be stable in motion. I like good components and a bike < 28 lb. Max suspension is great on gnarly trails. I ride a lot of short steep trails with features and cross country to trail riding components at home. I also travel all over the country and Canada riding trails. I have seen but not ridden a medium rip redo and it felt ok. Have not seen or been on a small. Your recommended geopemty suggests a small. I have ridden small gary fishers and medium 2006 nomads and 2012 epics. the 2016 world cup epic in medium his too big for me and the small to small. Do you have a size for me you can suggest. ?